Applications are open for residential Community Camps based at the Eden Project for people who are doing, or want to do, something in their community. They are a mix of workshops, talks, inspiration and experiences. So far 94% of people who’ve come to a Community Camp have gone on to do something in their communities using skills or information they’ve learnt at Camp. 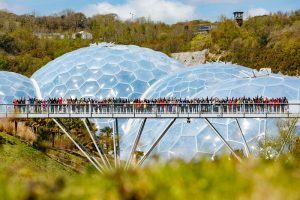 Crucially, they are totally free, with accommodation, transport and food all covered by the Eden Project, to make them as accessible as possible. Upcoming camps run from Fri 28 September to Mon 1 October and then Fri 9 November to Mon 12 November. If you or someone you know (aged 18 or over) has a great project or an idea that they would like to explore with like-minded people then find out more here.